"Sterilise cucumbers not women" placard at a Roma women's protest. Photo used with permission of authors. All rights reserved. In 1992, twenty-six-year-old Jana from the Czech city of Ostrava, was told two days after her C-section delivery that she needed another surgery because she had “loose stitches which needed to be fixed”. Without her knowledge or consent, she was sterilised during this procedure. Jana’s testimony is just one featured in a new report by the European Roma Rights Centre, which gives voice to Romani women who describe the shocking and chillingly routine abuses they endured as victims of coercive sterilisation; the physical, social and psychological impacts on their lives; and their role as courageous activists in the fight for justice and reproductive rights. The women’s testimonies provide poignant and emotive context to a detailed account of the institutional and legal settings that permitted a regime of cruelty, deception and intimidation to inflict irreparable damage upon individual Romani women and communities – a racist regime that even survived the transition from dictatorship to democracy. The practice of coercive sterilisation that targeted Romani women was legally sanctioned by a 1971 decree in communist Czechoslovakia which gave public authorities free rein to systematically sterilise women without full and informed consent as a means of birth control. This was boosted in 1979 by a government program of financial incentives for Romani women, motivated by the need “to control the highly unhealthy Roma population through family planning and contraception.” The Sterilisation Directive was abolished in 1993, but the practice of sterilising Romani women without their consent continued throughout the 1990s and the 2000s, with the last known case occurring as recently as 2007. Activists and signatories of Charter 77 voiced the first public criticism of this state policy. In a 1978 report entitled “The Situation of the Gypsies Roma in Czechoslovakia”, they claimed that the sterilisation of Romani women was a “planned administrative policy” and that “at internal meetings the success of social workers is assessed by the number of Romani women whom they have convinced to undergo the sterilisation.” Their field research concluded that hundreds of Romani women in Czechoslovakia had undergone the procedure in breach of the 1971 Sterilisation Directive and nobody was held responsible for this violation of the law. The most fearsome embodiment of this system that emerges in the testimonies of Romani women from the town of Most was the social worker given the pseudonym “Ms. Marcová.” She deployed a range of coercive methods to force women to undergo sterilisation and subjected them to constant harassment. She would threaten them with taking their children into state care, jailing their husbands for missing a day’s work, cutting their cash benefits or putting them on vouchers; women recalled that she would visit their homes up to three times a day to check if they were taking proper care of their households and children. Allegedly, in addition to threats, Marcová routinely lied about the temporary nature of sterilisations. She convinced some Romani women that the effect of the procedure would wear off after five or so years. Marcová also features in what was perhaps the most extreme case of women who were completely unaware they were being sterilised. In 1977, at the age of 16, Nora was hospitalised with a miscarriage. She was under the legal guardianship of her parents due to having been previously diagnosed with a mental disability. Marcová recommended that Nora should be sterilised and promised them a financial payment if they agreed. Neither the parents, nor the social worker, nor medical personnel felt any need to inform Nora about the sterilisation. Henrieta was another woman who was sterilised completely without her knowledge. This occurred in 2001, a full eight years after the 1971 Directive and the 1988 Decree were officially abolished. She was only informed when she took her newborn for a compulsory check-up, and the doctor checked through her file. Even within the abusive context of the Czech Republic, Henrieta’s case defies understanding – she had used contraception for 13 years, after which she and her partner decided to have another child. Throughout her pregnancy she regularly checked in with her gynaecologist. There were no complications or health problems, and no legitimate reason for medical personnel or social workers to intervene - but intervene they did - and in a gross violation of her reproductive rights, they sterilised her while she was giving birth. The interviews revealed that Romani women like Henrieta were in the most vulnerable position: by being ‘responsible’ with regards to family planning and child care, and visiting their doctors regularly, they became easy targets for involuntary sterilisation, even after it ceased to be a state policy. A theatre performance by the affected women. Photo by Tomáš Rafa. All rights reserved. A report by the Czech Ombudsman published in 2005 concluded that the practice of involuntary sterilisation up to 1991 was directly and solely motivated by eugenics, and recommended that all women subjected to involuntary sterilisation between 1972 and 1991 should be eligible for compensation. In 2009 and 2012, the Czech Government’s Human Rights Council passed resolutions recommending that the Czech Government introduce a mechanism for adequate financial redress for victims of involuntary sterilisation. In February 2015, the working group under the auspices of the Human Rights Ministry finalised a Compensation Act proposal. In September 2015 the government rejected adopting this law without stating official reasons. In his reply to the concerns of the Council of Europe Commissioner for Human Rights over the rejected bill, the Prime Minister Sobotka maintained that the state did not support practices of systemic sterilisation and had adopted all necessary measures to prevent any further incidents of involuntary sterilisation. Despite the legal evidence that the statute of limitation expired in all cases, Sobotka recommended all previously harmed women to seek justice through the Czech courts. This three-year statute of limitation, dating from the moment that it is acknowledged that the sterilisation occurred, prevents the majority of victims from bringing civil claims for damages and is the main obstacle to justice. The report provides an in-depth account of the Czech state’s determination to deny justice and the right to seek compensation through domestic civil remedies to the majority of victims of involuntary sterilisation. The Czech state is still not being held properly to account for its past systemic human rights violations against Romani women. Through the women’s testimonies comes a sense of the insidious nature of this regime of cruelty, how such a gross violation of reproductive rights came to seem almost banal, and in the eyes of most non-Roma, completely acceptable. The women who were interviewed from Most recalled that Marcová created an atmosphere of inevitability and routine procedure concerning sterilisation and she always ensured every logistic and administrative detail was taken care of in advance. Through collective meetings and workshops, the research allowed Romani women to develop a common understanding of the injustice suffered; consider effective ways to advocate for compensation and better safeguards; and engage in awareness-raising activities to inform and engage the wider public around this issue. 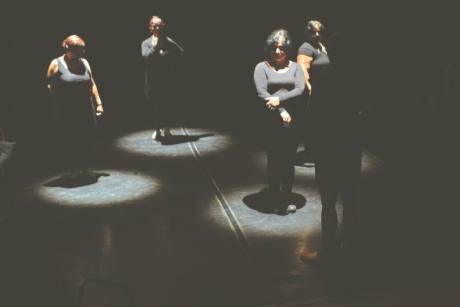 In one of the most creative interventions, four of the women used the testimonies and the report as the raw material for a social theatre performance. This widely acclaimed and deeply affecting play was, for the women, both an exercise in raising awareness and a form of therapy to cope with the trauma they endured. This “theatre of the oppressed” communicates and renders visible in a unique fashion, the kinds of knowledge and experience that is all too often obscured from the public agenda. These Romani women have now emerged as powerful self-advocates facing the media in their efforts, not only to fight for compensation, but also to ensure that no other women ever endure such maltreatment and abuse at the hands of medical professionals or state authorities.